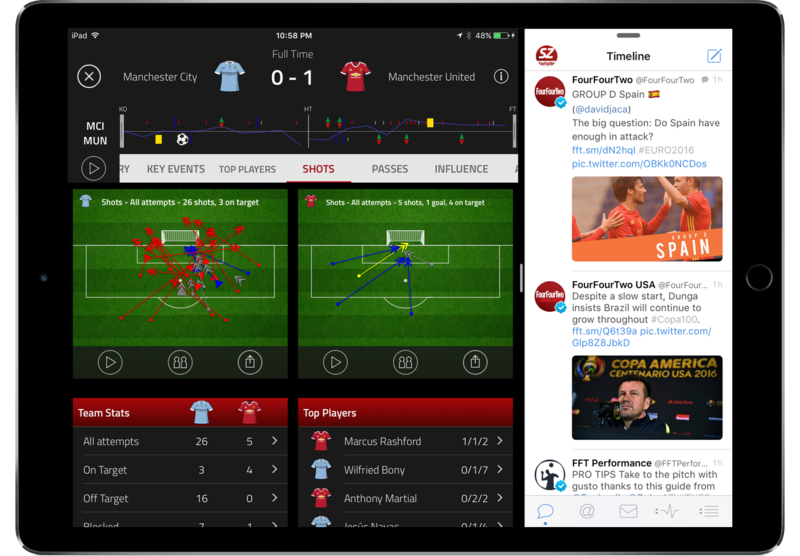 Powered by the same in-depth Opta data feeds that professional clubs use for their own performance analysis, the Stats Zone app provides easy to use tools for you to analyse and understand matches in more depth than ever before. 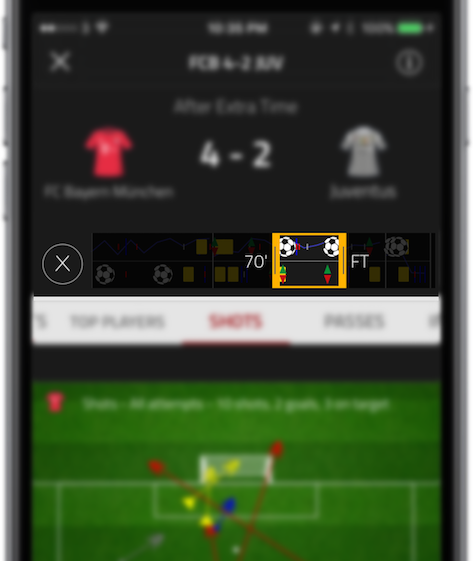 You have plenty of choice for live scores and simple statistics like shots on target, but only Stats Zone gives you live access to in depth data and chalkboard visualisations of every shot, pass, chance created, take-on, tackle, interception, clearance and foul. Get visualisations the goal-buildups. Compare team v team and player v player to go beyond subjective opinion of who had a good game and challenge opinions with data. Context matters. It is important to know that one team had twice as many shots on target as the other in the full time stats, but you have a much better understanding if you know all of those attempts were from 30 yards in the second half. The timeline reveals the story of each match - showing goals, missed penalties, substitutions, cards, a possession graph and when shots took place all at a glance. Tap and pinch it to compare first half v second half or analyse any specific match period you're interested in. 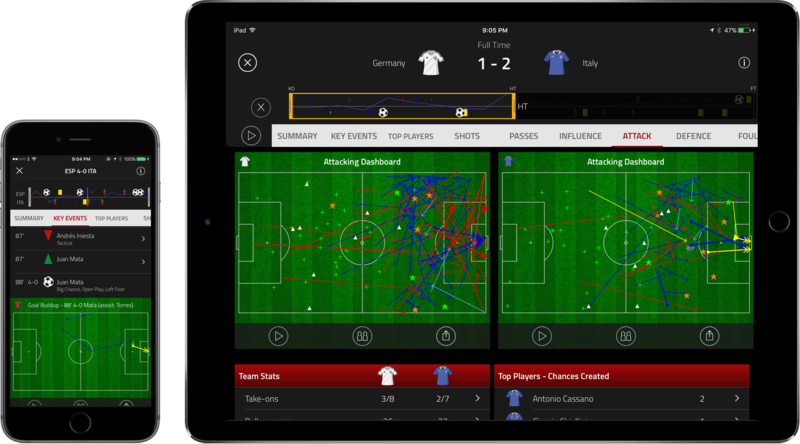 Stats Zone on iPad provides the first glanceable second screen experience. An innovation designed to keep you informed without being distracted from the essential activity of watching a live match. Simply open the app, prop your iPad up, and hit the play button. Want to show off your knowledge? Use the app to generate HD quality animated chalkboards and post your comparison of players and teams online including to Twitter, Facebook and YouTube. Stats Zone is designed and built by Colm McMullan. Many of you will know it from the app's time while licensed to FourFourTwo, but in the next iteration it will be operating independently. As such, it needs your support to succeed and exist - pay for a subscription, credit the app online and spread the word to like-minded people you know. Thanks!